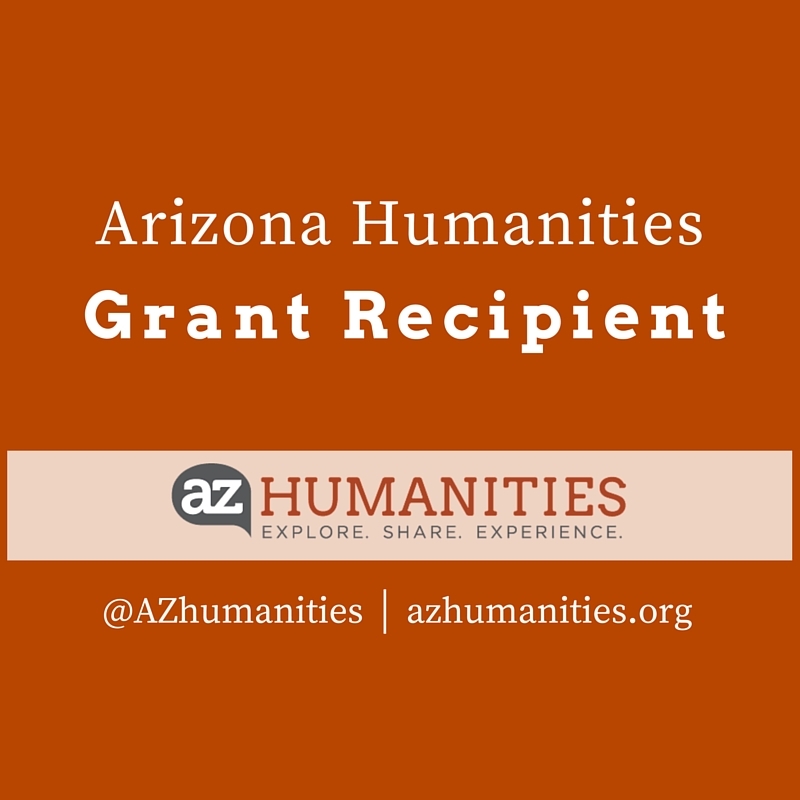 Congratulations on receiving a grant from Arizona Humanities! This is a significant achievement and we encourage you to share your success with the public. 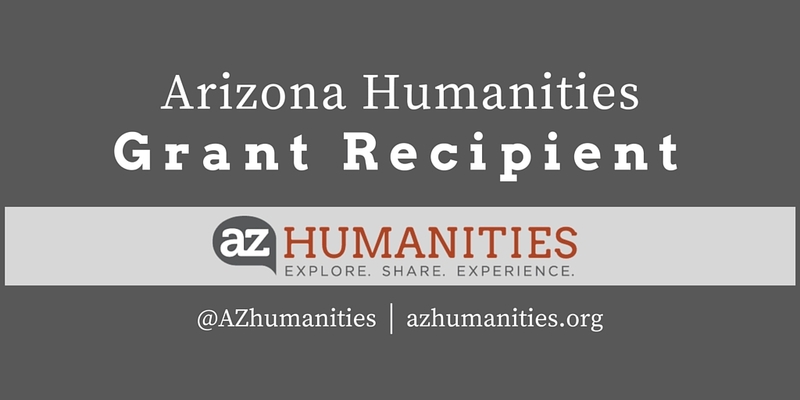 Arizona Humanities offers you a Grantee Communications Toolkit for grantees who would like to publicize their grant. As you will find in your Grant Agreement (Section IV, Public Relations), there are specific acknowledgement requirements you must adhere to after accepting your grant. Goals of the Toolkit: We have provided these materials below to assist in creating announcements and materials to help with publicity. Return to Grant Opportunities page. Click on the “+” icon to expand each section. Arizona Humanities requires public acknowledgment of the projects it supports, as outlined in the terms and conditions of your award. Federal regulations stipulate that credit be given to Arizona Humanities-funded projects in all written notices, news releases, or other publicity. Grantees must specify that the project is funded, supported, or made possible by a grant from Arizona Humanities. The name of Arizona Humanities and its logo must appear in a conspicuous location and be large enough to be easily legible. All logo formats are available on the Logos page. Arizona Humanities frequently posts about new grant opportunities and grantee achievements on our social media platforms. So be sure to follow us! The National Endowment for the Humanities offers resources to learn about creating and managing social media platforms. Click here to learn about social media resources. We also recommend researching other nonprofit social media resources such as Nonprofit Tech for Good, Social Media Examiner and others. Arizona Humanities offers a social media badge if you plan to post on social media when you announce to the public you have received a grant from Arizona Humanities. Download these badges below. 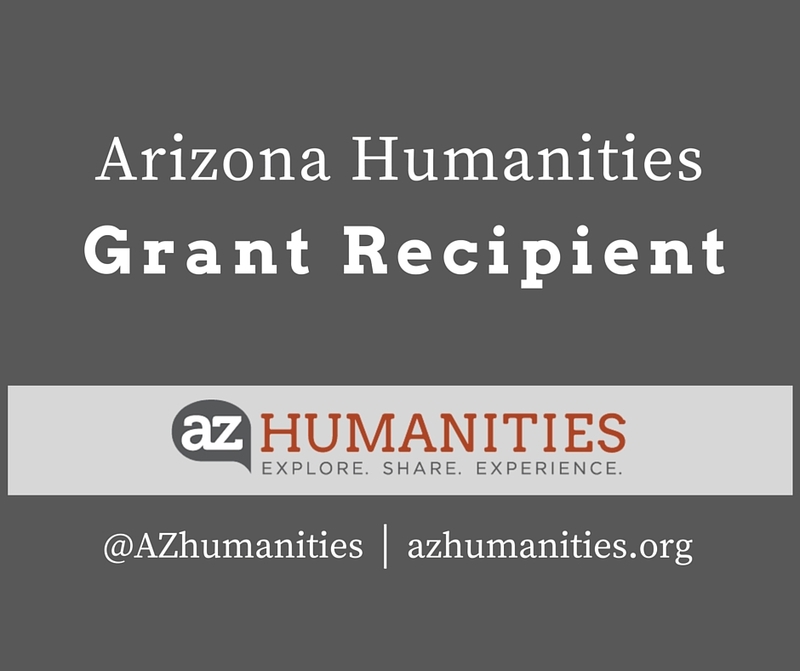 These sample posts can be used to publicize that you received an Arizona Humanities grant. If you are creating newsletter articles, press interviews, e-blasts, social media posts, or press releases, here are some talking points on Arizona Humanities. This also includes a brief overview of the organization in case you find yourself needing to explain background and history of Arizona Humanities. The mission of Arizona Humanities is to build a just and civil society by creating opportunities to explore our shared human experiences through discussion, learning and reflection. Since 1973, Arizona Humanities has supported public programs that promote understanding of the human experience with cultural, educational, and nonprofit organizations across Arizona. Arizona Humanities is a 501(c)3 nonprofit organization and the Arizona affiliate of the National Endowment for the Humanities. Arizona Humanities awards grants to cultural, educational, and nonprofit institutions, such as museums, libraries, tribal entities, and universities. The National Endowment for the Humanities offers great resources for organizations on media outreach and press pitch. By clicking the links below, you will be taken to the NEH website. Arizona Humanities is a stakeholder and you can always reach out to us with questions about promoting your grant and your public programs. We encourage grant recipient features on our website, eNewsletters, and social media, especially public programs that audiences can attend. We want to celebrate the work our grantees are doing and highlight that impact in our communities. It is important to Arizona Humanities to be in communication with our grantees throughout and after the grant period. The more you can share your grant with different audiences, the more that people understand the role and the importance of the humanities. When you reach a milestone or complete a significant phase of the project, contact the Grants Manager to discuss having your project featured on the Arizona Humanities website or social media. When you have scheduled public programs for your project (exhibition openings, lectures, symposiums, film screenings, etc. ), contact our Grants staff or Marketing/Communications Coordinator to have your program added to the Arizona Humanities Events Calendar, website, eNewsletter, social media, etc. When you post important updates on social media make sure you tag Arizona Humanities (@AZhumanities) so we can help further your reach by re-tweeting or sharing your post. Every grantee will have different groups and organizations that are stakeholders in their grant. A boilerplate is usually found at the end of a press release, and briefly describes the company or organization related above. The same boilerplate is usually used on every press release the company releases. It is important to remember boilerplates should be up to date, clearly written and short in length. Arizona Humanities is a statewide 501(c)3 nonprofit organization and the Arizona affiliate of the National Endowment for the Humanities. Since 1973, Arizona Humanities has supported public programs that promote understand of the human experience with cultural, educational, and nonprofit organizations across Arizona. Arizona Humanities offers a customizable press release template for grantees when announcing their grant award and/or public programs related to your grant. Click here for the Press Release Template document.